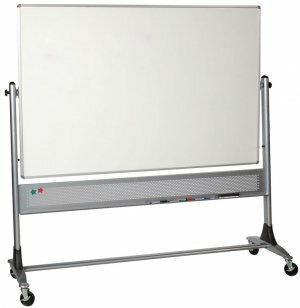 These Platinum Porcelain Reversible Whiteboards give you the best quality whiteboard for your conference room or classroom. The porcelain steel surface results in a super-smooth writing space and superior color contrast with markers, as well as quick, easy erasing with no ghosting. 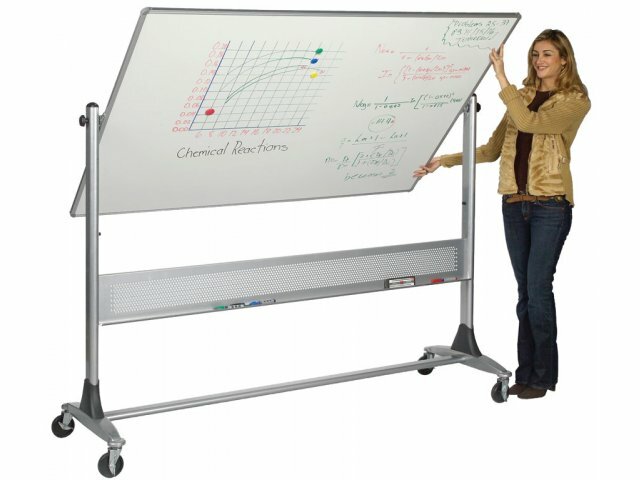 Large 4' x 6' size is ideal for classrooms, conference rooms, labs and more. 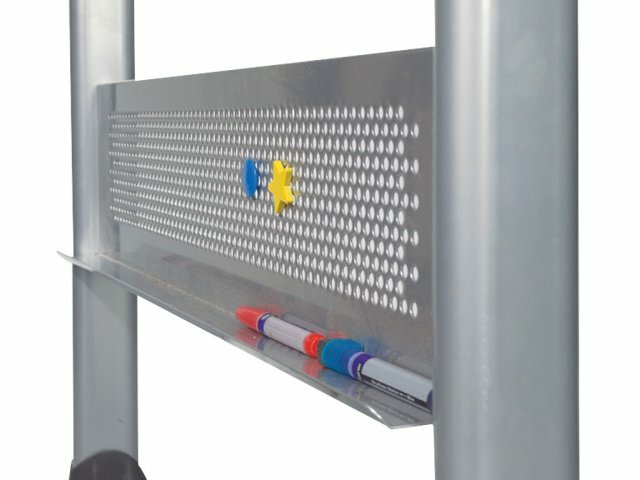 Double-sided whiteboards give you twice the surface of a wall-mounted board. 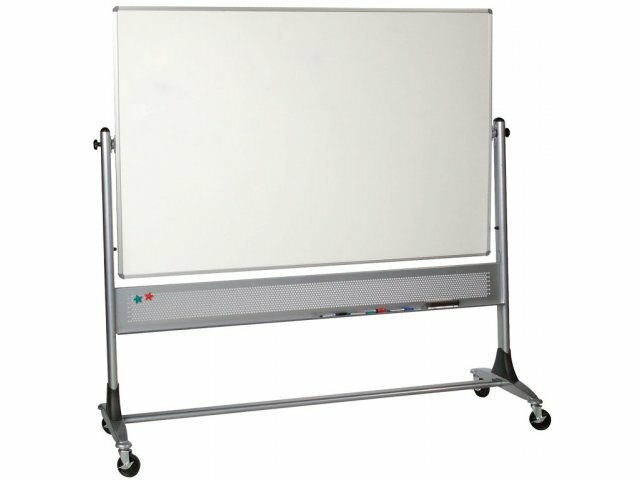 These Platinum Reversible Whiteboards from Best-Rite are mobile, practical and highly durable. 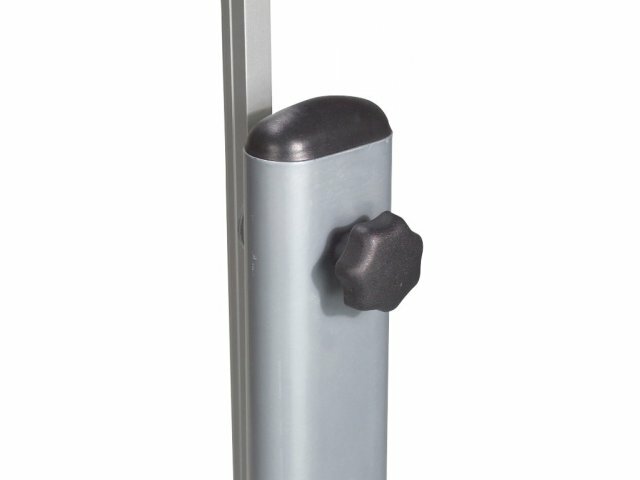 Each of these mobile whiteboards features a double-sided, reversible writing surface that rotates a full 360° on a pivot hinge, and locks easily into place with the turn of a knob. The anodized aluminum trim and marker tray lend a polished, modern finish. A wide base provides extra stability; rolls smoothly on four 3" casters. Top Quality: Porcelain steel surface is the best quality whiteboard surface around. Clean-Erase: Markings erase quickly and easily with no ghosting, even after repeated use. Jumbo Size: Extra-large size is ideal for classrooms, conference rooms, science and computer labs and more. Double the Space: These reversible whiteboards offer you double the writing surface of wall-mounted boards. Full Rotation: Whiteboards rotate a full 360° and lock easily into place. Attractive Finish: Anodized aluminum finish gives a polished, modern look. Extra-Stable: Wide base design provides extra stability. 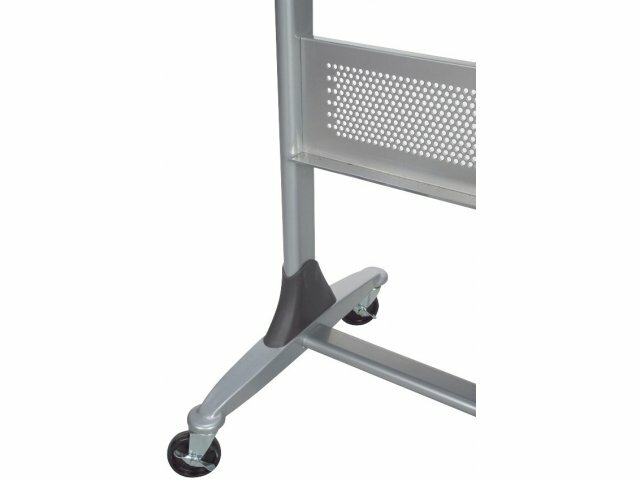 Mobile: Rolls smoothly on four 3" casters.